Paul Braun graduated from Ripon College in 2010 with a degree in Business Administration, while also playing football for the Redhawks. At 6 years old he joined his father in the woods and at 12 he was videoing his own hunts. Since then his love for wildlife has continued to grow into an obsession. 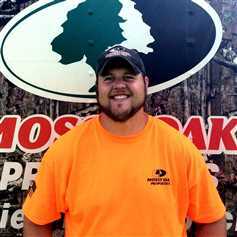 Paul’s addiction to Mossy Oak began at 13 years old when Mossy Oak’s Camo Cameras followed him into the woods to video his first turkey harvest for Extreme Spring Season 5. Paul has a deep seeded passion for marketing and highlighting features of a seller’s property. He enjoys finding out what a buyer truly wants and putting in the time to research and match their wants to a property’s characteristics. Paul understands that a good plan and well-managed property produces a quality experience for both young and old in the outdoors. Contact Paul and let him do the work to find your ideal property or the right buyer for your property.